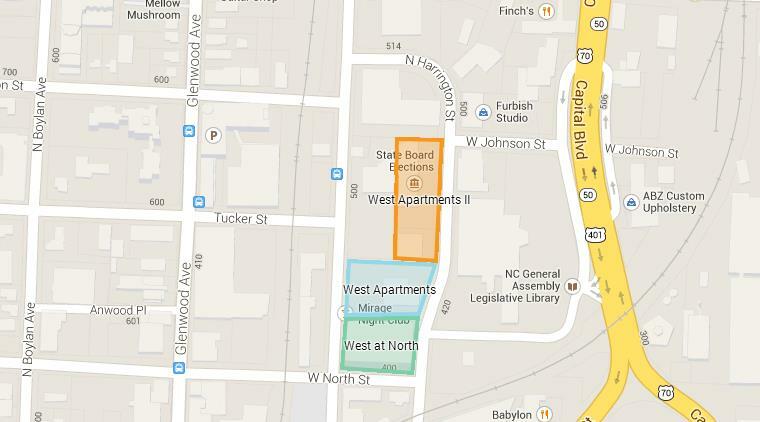 Map of both West Apartments projects alongside the current West at North tower. I love local blogs. 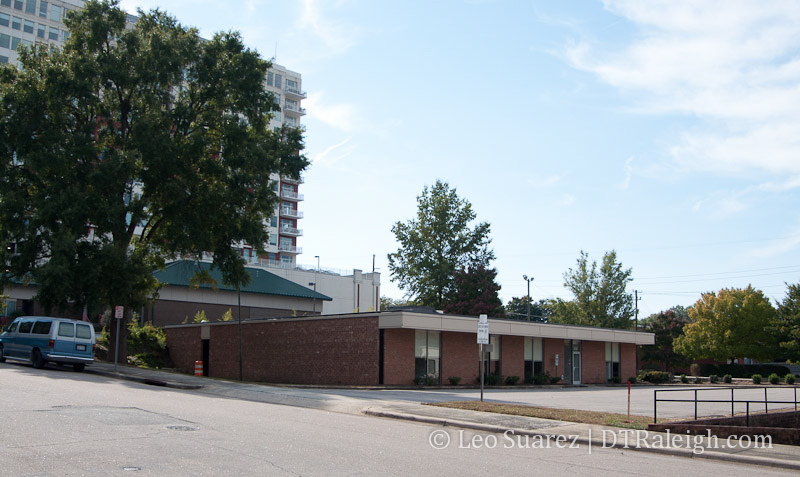 Last week, the DLA blog talked about a new proposal on the table for West Apartments II and then the major media jumps on it. Nice. We’ve talked about West Apartments before, about a year ago, with no new details since but now there are plans for more according to the city’s development website. Another project from local developer Gregg Sandreuter, West Apartments II plans for 177 units (1 and 2 bedroom) right along Harrington Street in a ~100 foot building. Harrington Street elevation rendering of West Apartments II. Click for the full width rendering. The elevation has a bit of a dip on this section of Harrington so the building looks to be about four floors on the highest end of the lot and six on the lowest. The plans on the proposal show some open space for retail but not much, maybe 6,000-10,000 square feet. An interesting detail that I noticed while looking at these plans is that there is a space on the ground floor labeled ‘Bike Shop.’ If I recall correctly, this is a result of the new Unified Development Ordinance and this may be a common amenity built into these new, denser developments. Below is a screenshot of it. West Apartments II looks like phase 2 of the overall West Apartments project as the two buildings seem to integrate together. As more residents move in, perhaps we can bring back the name of the old Smoky Hollow neighborhood that once was this area. Is there any development planned on the backside of this building along West Street? Will be awful strange looking at so much of a blank wall from the back of West Apts Phase 2. To the best of my knowledge, I’m not aware of any plans along West Street on the lot that would be behind West Apartments II. There’s a half a block between the building and West Street. Eventually that will fill in too. This could have been an opportunity to extend Tucker Str, IF there was will from both the developer and the city officials. I hope they consider this opportunity.